Price is for 2+ imports. If only one import, use the discount code ibc_twenty for a 20% discount when registering (brings it to $320). 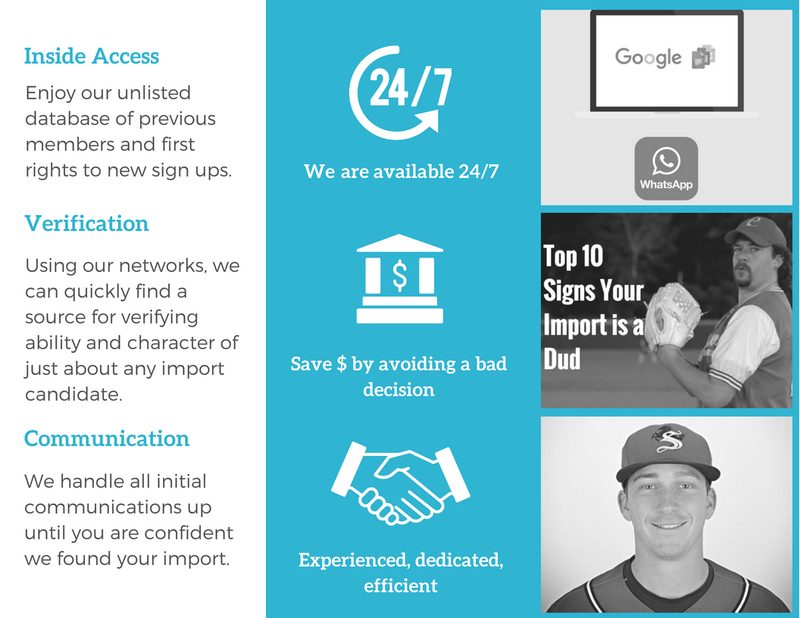 In a nutshell, our team works closely with your recruiter(s) year-round via a Google spreadsheet ranked list of candidates (SEE VIDEO OF HOW IT WORKS). We exchange feedback and updates on each individual candidate through the comment feature within the spreadsheet. We also offer to hop on the phone, whatsapp, skype or any other medium at any time if that is preferable. 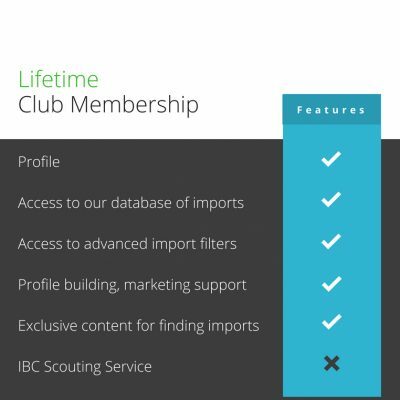 We first utilize our current database of imports, however when there is no match, we then dive into our database of former members, then to our database of inquiries while also reaching out to our recruiters around the globe until we found your guy (or girl). Probably the biggest hidden value of the service, is our ability to check abilities and character. For any legitimate import looking to play overseas, we will have at least a dozen contacts (mutual FB friends, former teammates and former coaches) who can give us some quick and honest feedback. 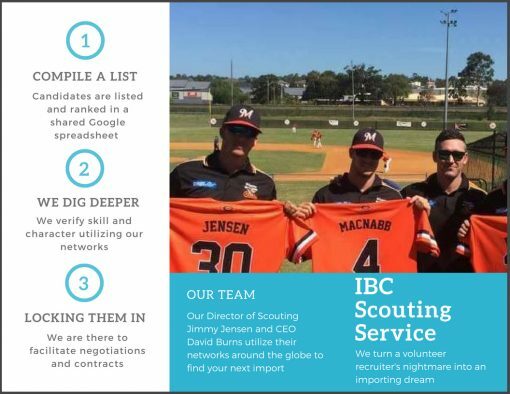 The Baseball Jobs Overseas premium service has been huge for our club as we worked to move up into the second division, and then first division, of French baseball. 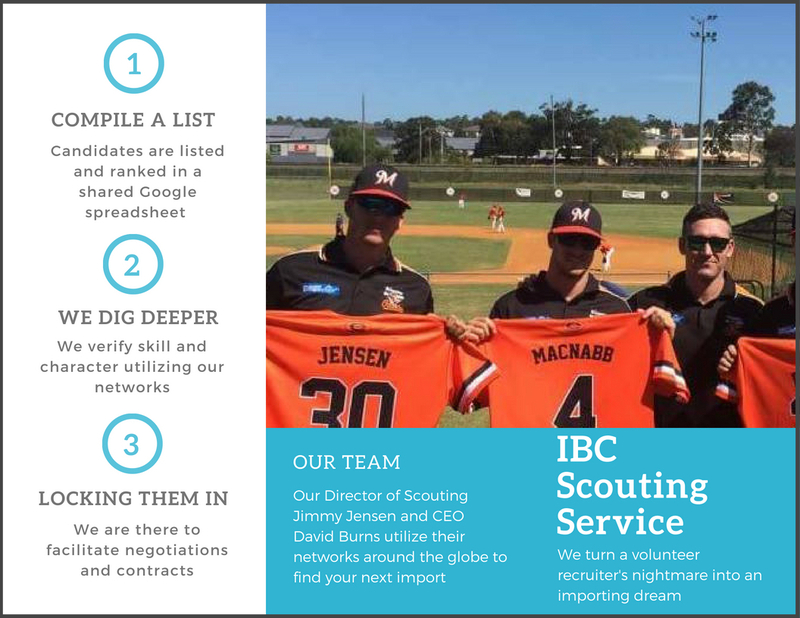 The patient, knowledgeable exchanges we had with the scouts at Baseball Jobs Overseas helped us to identify the right players (and the right people) to take our club to the next level. 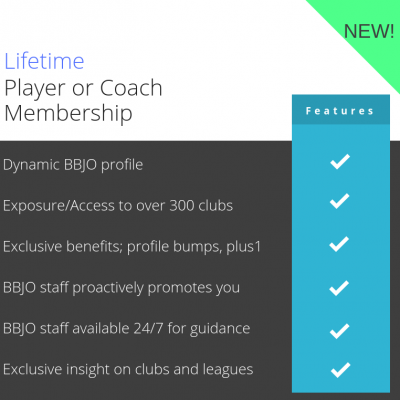 We highly recommend the premium scouting service at BJO to other European clubs who are looking to develop. It’s money well spent!